The College of Dentistry started with the original Philippine Union College in Baesa, Caloocan City. The two-year preparatory dental course leading to the title Associate in Arts Pre-Dentistry was given Government Recognition in June 1953. Without a Dentistry Proper course offered in PUC, these students then transferred to other universities to finish their program. Eventually, this led to a decrease in the number of enrollees who would rather complete both their Pre-Dentistry and Dentistry Proper programs in one university. It was only 50 years later, in Puting Kahoy, Silang, Cavite, did the Pre-Dentistry program continue on to Dentistry Proper. The Dean, Dr. Marissa Hizon Virgines, opened the doors of the College to their first batch of Dentistry Proper students in 2003. This move tripled the enrolment of the college which then moved to its new home, with an Anatomy laboratory, a dental simulator laboratory, a library, several classrooms and the dental clinic. 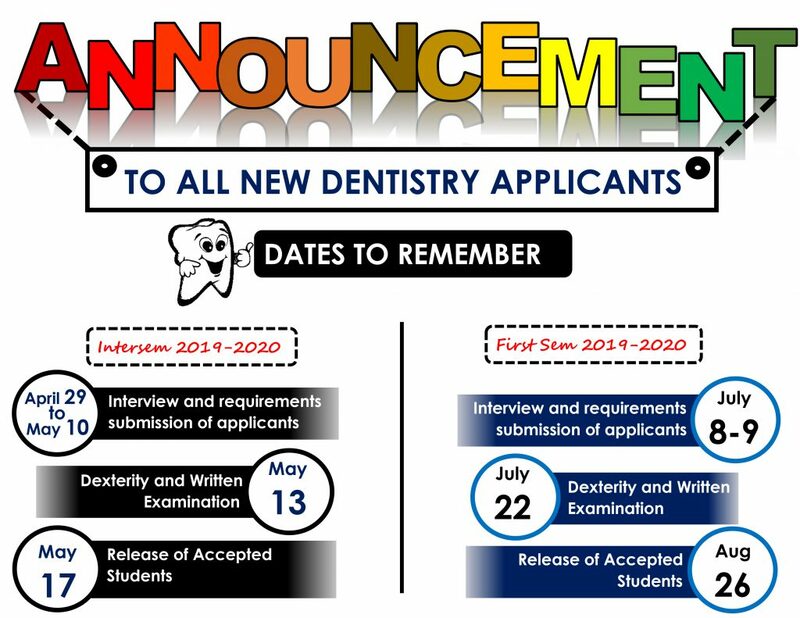 The College of Dentistry of the Adventist University of the Philippines is the only college operated by the SDA church in the Philippines and in Asia, which is authorized to offer both the Pre-dentistry and 4-year Dentistry proper course. Its students hail from the Philippines, other Asian countries and Africa; all for obtaining quality Christian dental training. The Adventist University of the Philippines, a Christian Seventh-day Adventist institution of higher learning, believes that God, as the Creator and Sustainer of the universe, is the source of true education which promotes an integrated course of learning that prepares human beings for usefulness in this world and for fitness in the world to come. The AUP College of Dentistry exists to provide quality Christian education and training to future dentists by equipping them with the necessary skills, knowledge and attitudes that would spell excellent dental service to humankind. It is the vision of the AUP College of Dentistry to become a training center for world class Christian dental professionals.